USB-C cables are significantly thicker than plain old USB 2.0 cables. 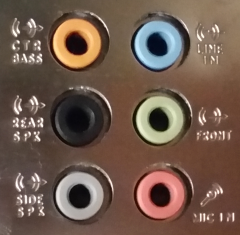 You probably won’t care about cable thickness used for connecting your monitor but you may care about cable used for charging your portable devices. USB-C doesn’t imply USB 3.1 Gen 2 speed (10 Gbit/s). USB-C doesn’t imply USB 3.1 Gen 1 (USB 3.0) speed (5 Gbit/s). On plenty of phones, USB-C carries only USB 2.0. The USB-C port on this adapter charges your computer, but it doesn’t transfer data. Thanks to DisplayPort over USB-C, we can get both display and data links. Is DisplayPort over USB-C supported on this shiny laptop with USB-C? RTFM! USB-C can be used for bidirectional power delivery/charging. Is that supported in all these brand new phones? RTFM! When USB-C will be used on graphics cards, how will users understand which USB-C port is which. Maybe return to color coding? USB-C will be with us for at least some time. Hope it won’t end up like Thunderbolt/Mini DisplayPort which is only 5 years old and effectively obsolete now. Initially I thought USB-C will allow us just connect things together and it will work. It won’t… You will need to read the manual for your device to understand what can USB-C in this particularly device can be used for.